Starting 2018 off with a bang, and a legendary line-up of DJs. 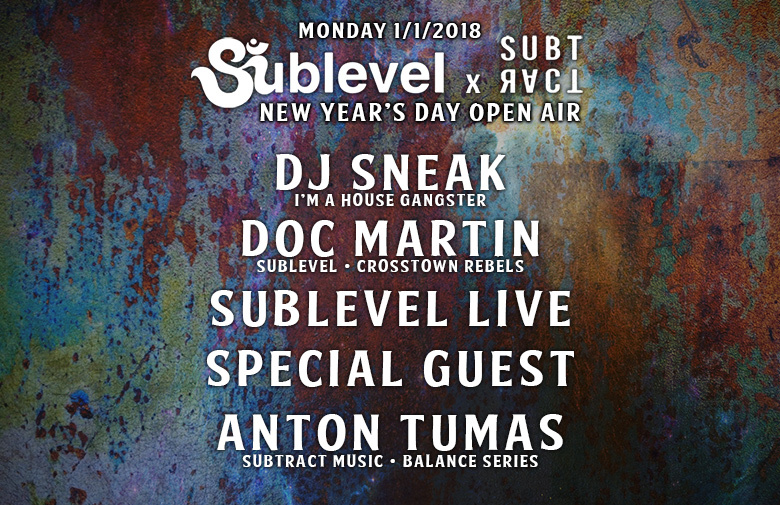 For the first time ever, Doc Martin is bringing his Sublevel party to Long Beach, joined by the hard-working crew at Subtract Music.Together, they are responsible for some of the best vibes LA and Long Beach have seen in recent times. A daytime outdoor affair, on perfectly tuned Subtract Sound.